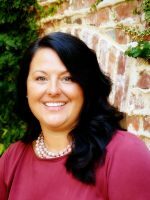 Aimi Rozier recently joined The Shannon Sells Team at SouthSide Realtors. She comes to us with 20 years experience in marketing and is excited to use that experience to make the most of her clients’ listings. She has been a Henry County resident for more than 15 years and pride herself on being knowledgeable about the county and surrounding areas. Aimi’s attention to detail ensures that she helps her clients find their perfect home, in the perfect place, for the perfect price. Protecting her clients is her top priority. Aimi spends her free time with her husband and children. She enjoys traveling, football and any outdoor activity.